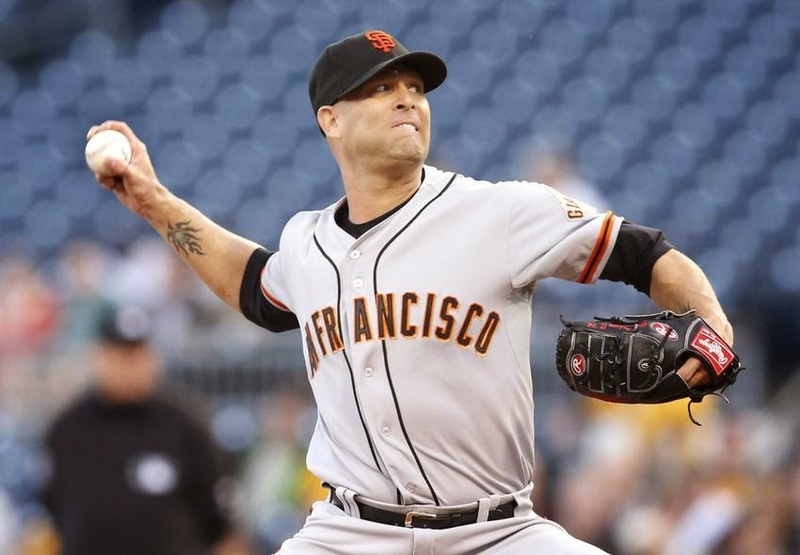 Can Tim Hudson keep it rolling? Yesterday afternoon was the start of this year's playoffs and the San Francisco Giants picked up right where they left off at the end of 2012. They beat the Nationals 3-2 in Washington to open up a 1-0 lead in the best-of-5 NLDS. Everyone has shared it, I might as well too. This was the 9th straight postseason win for the Giants dating back to the 2012 NLCS. That's the longest streak ever in National League history, and 3 shy of the Major League record of 12-straight wins, done twice by the Yankees. The Giants haven't lost since the epic #RallyZito movement on Twitter happened during the 2012 playoffs. Seriously. It's been that long. Game 4 of the 2012 NLCS was the last time this franchise lost a playoff game. Of the 9-straight wins, 4 have been when facing elimination. If you're like me, Bruce Bochy is all that popped in to your head during that last paragraph. The Giants are an astounding 24-9 in the playoffs under Bochy. This is the 7th playoff series for Bochy and the Giants, he has won ALL of the previous 6. Game 1 was another one of those times we got to watch the master in action. Bochy pulled on every right string as he guided the Giants to the victory. But now is not the time to wax poetic about our favorite manager. I'll praise his Hall of Fame resume another time. In case you didn't notice, Pablo Sandoval now has a 12-game postseason hitting streak. That's now the Giants franchise record. It was previously held by Marco Scutaro (you may have heard of him) and Irish Meusel. The MLB record is 17-straight games with a hit and that's shared by 3 guys; Hank Bauer, Manny Ramirez, and some guy named Derek Jeter that you've probably heard about lately. Jake Peavy and his pitching set he tone for the Giants and that's where they have been dominant during this 9-game postseason winning streak. Starting pitchers have allowed only 5 earned runs in 60.1 innings pitched during this time and opponents are batting .182 against them. The whole staff is in on the act. The Giants haven't allowed more than 3 runs during any of the 9 straight wins. They have outscored their opponents 47-9 and five of the nine wins by the Giants were shutouts. The staff ERA is 0.99 during the streak and haven't allowed more that 3 runs in any game. The question now becomes, can Tim Hudson keep it rolling? He was shaky towards the end of the regular season as he dealt with a bum hip and it has been concerning. He's not a young man as evidenced by the fact that he hasn't won a postseason start since the 2001 ALDS with the A's. Game 2 will be his 10th career postseason start. There's good news with the opponent being the Nats. Hudson seems to own them. Lifetime he's 18-5 (31 starts) with a 2.35 ERA in 210.1 IP against Washington. No one that has had more than 15 at bats against him has a batting average higher than .288. Familiarity might bring out the best in him. I'm going to shift gears and wrap it up. I've been toying with the idea of doing a podcast before or after some of these games. The feedback I've gotten on the idea is positive. I'm shooting for Monday to get it going. I was going to start today but I've got a date with the Super Twins to watch Giants baseball together.